Studio Myerscough are in residency and they’re on a mission to create a new typeface, with live contributions from you. Visit the Pavilion all this week, it’s totally free. Tonight from 8pm, come see four amazing local bands at Rise of Birmingham. Tickets are £5 from www.birmingham-box.co.uk. 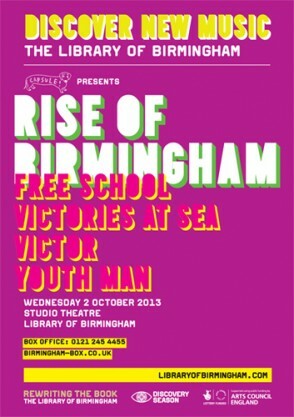 Read more about Free School, Victories at Sea, Youth Man and Victor here. 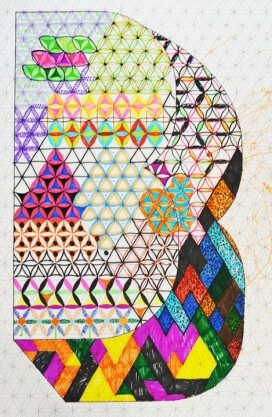 Join artist Laura Kate Chapman whose work takes inspiration historic Parker Collection of Children’s Books and Games, celebrating the tradition of hand drawn artistic methods. 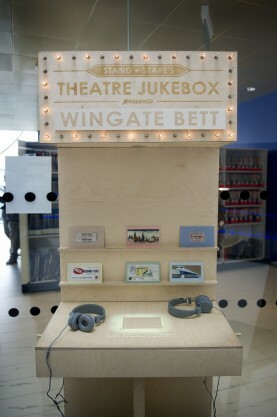 Throughout the season you ca explore the library via the Discovery Trail, the trail includes the Theatre Jukebox, by Stand + Stare, an arcade-style cabinet that plays stories instead of records and allows you to choose the chapters you want. You can listen to accounts of imagined journeys and travel stories inspired by the Wingate Bett Transport Ticket collection. Wingate Henry Bett was the first president of the Transport Ticket Society and founder of the Electric Railways Society. He co authored Great British Tramway Networks with John C Gillham which became the bible of British tramways. 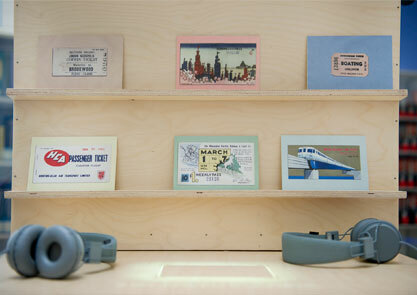 His collection of transport tickets is one of the Library of Birmingham’s collections.